As part of Starwood’s end-of-year recap of the Starwood Preferred Guest program, some annual facts and figures are given. The one that blew me away? Someone redeemed 870,000 SPG points for a pair of business class tickets from Los Angeles to Rome. Before I tell you how to do the same for less than a fifth of the cost, there are several amazing things about this. Normally marketers brag about how valuable their points are. Highlighting the award that cost the most points will naturally highlight a not-so-valuable award. 870,000 SPG points can be converted to 1,085,000 US Airways miles, Delta miles, or American miles. (This is where the post title comes from.) Any one of those conversions would result in ten roundtrip business class awards to Europe with enough left over for three domestic economy roundtrips. And you could even add free oneways onto the European trips. 870,000 SPG points could book 30 free nights at the most expensive Starwood properties (35k per night, 5th night free). SPG points are conservatively worth at least 2.5 cents, making 870,000 worth $21,750+. SPG Flights is a revenue-based chart that converts your points to cash tickets. Here’s the chart. One benefit of SPG Flights is that you can get any seat, any time if you have the points. There is no hunt for availability like with award seats. But with a little flexibility, you can get the exact same seats for 160k SPG points, saving 710k SPG points. 1. Transfer 60k SPG points to a Delta account. Tomorrow transfer 60k more SPG points to the same account. The next day transfer 40k SPG points to the same account. This is because “Starwood Preferred Guests can transfer up to 79,999 of their Starpoints® per transaction per program within a 24-hour period to [partner] frequent flyer programs.” And we want to maintain 20k increments to get all the bonus miles we are entitled to. Transfers will not post to Delta miles instantly, taking a few days to a few weeks. This will post as 200k Delta miles–160k + 40k in 5k bonuses. 2. Search for two seats in business class on the direct Alitalia flight from LAX-FCO. You can ask a Delta agent to search, but I search on expertflyer.com. See How to Use Expert Flyer. 3. Call Delta to book the award space you found online with the recently-transferred 200k miles in your account and about $200 in taxes total. Sample dates: October 16 – 22, 2013. Voila! For 160k SPG points, you’ve got 2 business class roundtrips Los Angeles to Rome–a savings of 710k SPG points. Of course, I’m not being completely fair. I totally cherry-picked those dates to find space on Alitalia. Most days had only one business class seat. And buying the tickets through SPG Flights means SPG buys you a cash ticket, which will earn miles. A lot of miles in this case–19,062 redeemable and status miles with the 50% bonus for flying a paid business fare. But even so, it’s pretty clear that 870k SPG points should not be used for a pair of business class flights. What would I use them for? I would get a pair of roundtrip Emirates A380 First Class tickets from New York to Dubai for 270k Japan Airlines Mileage Bank Miles by transferring in 220k SPG points. That would set me up for onboard showers in perhaps the nicest first class cabin in the sky. Then I would SPG-property hop using Free Night Awards, giving myself 70k SPG points for hotels. Then after this first class vacation–not just flights–for two, I’d still have enough for two more identical vacations with 580k SPG points remaining. SPG points are hard to get. You can get them by staying at SPG hotels. You earn 2 points per dollar that you spend at the hotel, 3 per dollar if you have Gold Status or higher. You can also get them by getting the SPG credit card from American Express. 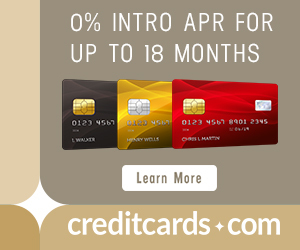 The card comes with a 25k Starpoint sign up bonus–10k on first purchase and 15k more after $5k in spending in the first six months. I don’t yet have the Starwood card, but I will soon. The highest bonus I’ve ever seen for the card is 30k points. 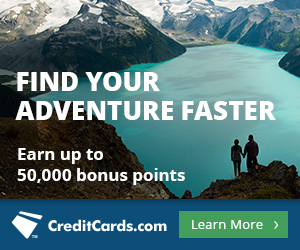 Beyond the sign up bonus, the main benefit of the card is 1 SPG point per dollar on spending. Every reward card offers one mile or point per dollar, but one SPG point is worth more than one of any other type of mile or point. Starwood is bragging about an 870k SPG point redemption for two business class flights when the same thing is doable with 160k SPG points. To kickstart your SPG point collection–the most valuable points out there–check out the American Express credit card with a 25k point sign up bonus. This is truly what makes your blog unique. I love your original content! Alitalia offers double mileage awards. 320,000 SPG -> 400k Alitalia, enough for 2 business class tickets on choice of flights without worrying about saver availability even.. This advice is worth 550k SPG points, quite an incredible return for just one sentence. Nice post. I’ve been shaking my head at that redemption, too. What could be worse than redeeming points for a TV? Ohh ohh, Mr. Kotter, Mr. Kotter…. I commented on another blog at my shock at this redemption. As you mentioned in the article, what could have been done with those points instead is incredible. I guess when you are in the position to earn so many points, they probably don’t hold the same value as they do for the rest of us. Still the person could have made a bunch of redemptions for friends instead of wasting them. Hi Scott, just a quick question about reserving on United. I am trying to book an award ticket and I want to reserve it for 2 days while I continue my research. But it says I have to pay, there doesn’t seem to be a button to reserve (or place on hold). Can you help me with this? I just watched your videos. Whoever made this redemption does not read your blog or Flyertalk. They probably travel weekly for work and earn a lot of starpoints at their employers expense. Wasting valuable Starpoints like this creates more sweet redemption opportunities for the rest of us! I am your avid follower because of HOW you unselfishly give your in depth analysis especially to an average FF miles earner like me. Well done, Scott!